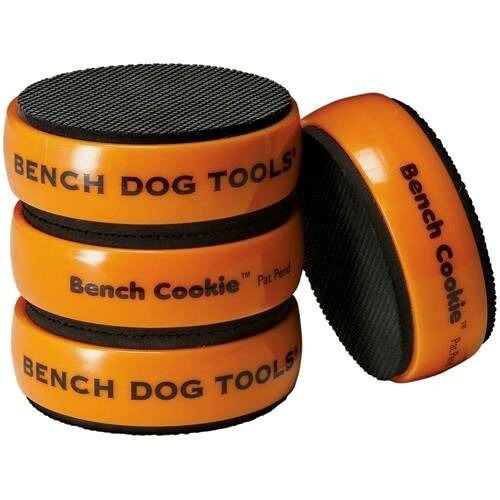 Brand New Bench CookieTM Work Grippers (Pack of 4) High-friction rubber surfaces and durable core provide a solid grip, preventing projects from slipping while routing, sanding, carving and more. They support the workpiece without leaving marks and raise panels for edge work and finishing. Each cookie is 3" x 1". Team up with Bench Dog Cookie Cones (143546) for a fail-safe project finishing system.